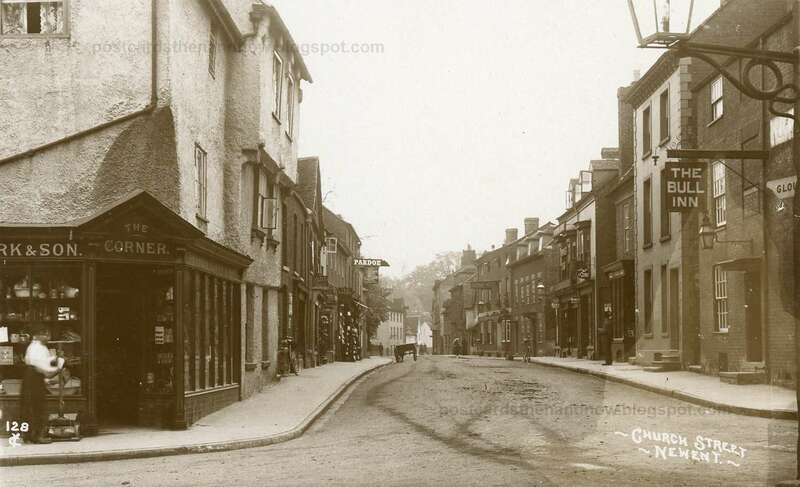 Newent, Gloucestershire, Church Street, circa 1910. It is interesting to note that the building on the left looks older now in the modern Google Street View than it did a hundred years ago. The Bull Inn on the right has gone but the George Hotel further down the street is still there. Postcard by Young and Co. of Teddington. Click the postcard to enlarge. Howard, I wonder whether you would get an architect to agree that the mock Tudor style looks older. Shame about the Bull. While the Tudor style may look older, the first floor certainly doesn't. The buildings on the right look almost exactly the same as in the older photo. What a shame there isn't a "historical Google StreetCam", it would be fascinating to wander down the old street and look at the buildings in detail, just as you can with the modern Google image. Love this concept of "Then and Now". Google is an amazing tool and source of information. It is hard to believe I was slow to take up computer and internet usage now. I love that the corner shop is called "the corner". That is some fancy black and white work ... I prefer the old brick myself though. You always seem to get the right angle on Google street view, but it doesn't seem to work well when I try it. Love the then and now! and postcards are a great resource for the old photos. Love seeing the "then and now" views! Is it hard sometime to find the correct view, particularly if most of the buildings are no longer standing? I do enjoy your pictures. Thanks very much for visiting my blog too and leaving me a comment. 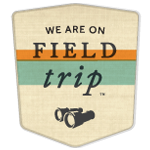 This is a wonderful way to find how things look in the old neighborhoods. My son and I live many miles apart and miles from where he was born but we can look up on Google when I tell him about things have changed. Keeps his and my memories running along the same lines. I think the modern one looks too busy. I like the older one. Nice that everything is still standing. Yes, it's changed, but you can still see the bones of the old buildings. Can't see much of the old bones here in California. At least not in the buildings! A very interesting contrast, but I'm not convinced that the new tudor timber effect is inauthentic. The old Corner shop has a coat of parging which may cover up the original timberframe. It was the simplest way to fix an ancient exterior. But I'm intrigued by the building hidden behind and just opposite in the Google streetview. It is standing on piers that would not have been saved if they were not original. A Moot Hall maybe?